Two years have passed since the Great War. Akito and Yurika have vanished. 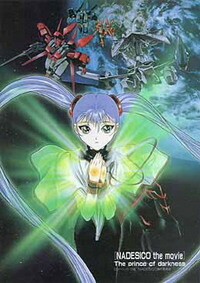 The Jovians and the Earthlings have joined forces and Ruri is now captain of Nadesico B. As the popularity of Boson Jumping grows, a vast transportation network has been developed. Dubbed the Hisago Plan, this network of Chulip portals holds the answers to the mysteries behind Bose particles and their power. If those secrets should fall into the wrong hands, it could mean big trouble. And big trouble there is. A Martian splinter group has launched an offensive, leaving the United Forces befuddled and desperate. So much so, in fact, that the former crew of the Nadesico is called back to active duty for a special unsanctioned mission-to save us all. Does this menagerie of misfits have what it takes? Who will win the race for the Boson technology? And what the heck happened to Akito and Yirika?